Carolyn Porco is the leader of the imaging science team on the Cassini mission in orbit around Saturn from 2004 to 2017, a veteran imaging scientist of the Voyager mission to the outer solar system in the 1980s, and an associate member of the New Horizons mission to Pluto and the Kuiper Belt. Carolyn has co-authored over 125 scientific papers on a variety of subjects in astronomy and planetary science and has become a regular public commentator on science, astronomy, planetary exploration, and the intersection of science and religion. Her popular science writings have appeared in such distinguished publications as the London Sunday Times, The New York Times, The Wall Street Journal, the Guardian, Astronomy magazine, the PBS and BBC websites, the Arizona Daily Star, Sky and Telescope, Scientific American, and American Scientist. Carolyn's research over the past 40 years has ranged across the outer solar system to the interstellar medium. Before Cassini's arrival at Saturn in 2004, her research focused on the planetary rings encircling the giant planets and the interactions between rings and orbiting moons. In particular, she was responsible for the discovery of one of the Neptune ring arcs; for elucidating the behavior of the non-axisymmetric rings and ring edges in the rings of Saturn, Uranus and Neptune; and working with Mark Marley (now at NASA Ames Research Center) in predicting in 1993 that acoustic occultation within the body of Saturn could produce specific wave features in Saturn's rings. This prediction was verified 20 years later using Cassini occultation observations, resulting in the first demonstration that planetary rings could serve as a seismograph and ultimately provide the means to improve knowledge of a planet's internal structure. For the past decade, Carolyn has turned her attention primarily to the study of Enceladus, the small Saturnian moon whose south polar region was found, in images taken by her Cassini team, to be the site of over 100 tall geysers of icy particles erupting from four distinct, deep fractures crossing the region. This and many other Cassini findings point to a long-lived, sub-surface, salty, organics-rich global ocean, thicker beneath the south polar terrain than elsewhere, as the geysers' source, making Enceladus home to the most accessible extraterrestrial habitable zone in the solar system. Carolyn continues to be active in the presentation of science to the public as the leader of the Cassini Imaging Team. She is the creator/editor of the team's CICLOPS website where Cassini images are posted, and she writes the site's homepage "Captain's Log" greetings to the public. Carolyn is a popular public lecturer and speaks frequently on the Cassini mission and planetary exploration in general. She has presented at such renowned cross-disciplinary conferences as TED (2009, 2007) and PopTech (2006, 2005). She also appears frequently in the media; as of 2016, she is a StarTalk All Stars host. Carolyn is the CEO and President of Diamond Sky Productions, LLC. For the 1997 film Contact, based on the novel by fellow astronomer Carl Sagan, Carolyn served as the consultant on the main character, Ellie Arroway. In 2008, she was invited by J.J. Abrams, the director/producer of the 2009 release, Star Trek, to join the film's production crew as a consultant on planetary imagery. Carolyn was responsible for the proposal to honor the late renowned planetary geologist Eugene Shoemaker by sending a portion of his cremains to the moon aboard the Lunar Prospector spacecraft. She also conceived of the epitaph, engraved on a thin brass foil, which accompanied the ashes to the moon. Carolyn played instrumental roles in the taking of three iconic photographs of planet Earth from the outer solar system. She participated, along with Carl Sagan, in planning and executing the 1990 "Portrait of the Planets" taken with the Voyager 1 spacecraft, which included the famous Pale Blue Dot image of Earth. Later with Cassini, she and her team took one of Cassini's most beloved images of Saturn and its rings during the planet's solar eclipse, with Earth visible in the distance. And she is the creator of The Day The Earth Smiled, an event that took place on July 19, 2013, when Cassini once again pointed sunward to image Saturn, its rings and the Earth. This time, however, a long-distance photo of Earth was taken with the full advance knowledge of members of the public, who were invited to take part in a day of reflection and celebration of humanity's place in the cosmos. The event was enjoyed by people all over the globe. Carolyn has been the recipient of a number of awards and honors for her contributions to science and the public sphere. She is the namesake of Asteroid (7231) Porco, which was named to honor her work in planetary science. In 1999, she was selected by the London Sunday Times as one of 18 scientific leaders of the 21st century, and by Industrial Week as one of "50 Stars to Watch". In 2009, New Statesman named her as one of the "50 People Who Matter Today." 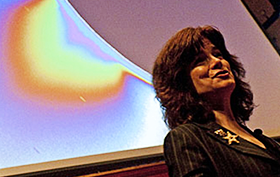 In 2010 she was awarded the Carl Sagan Medal, presented by the American Astronomical Society for Excellence in the Communication of Science to the Public. And in 2012, she was named one the 25 most influential people in space by TIME magazine. 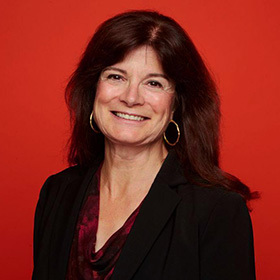 Since 2015, Carolyn has been a visiting distinguished scholar at the University of California at Berkeley and, since 2017, a fellow of the California Academy of Sciences.